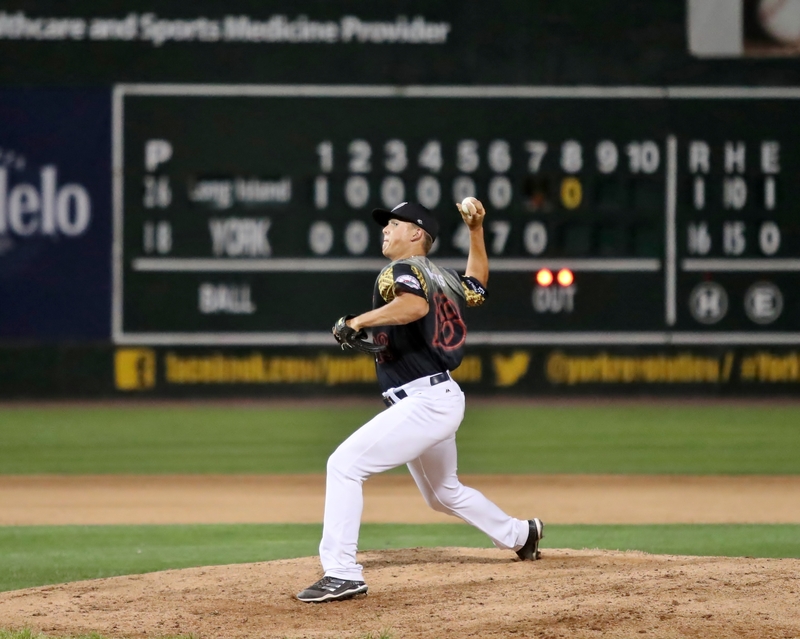 York Revolution right-handed pitcher Devan Watts’ contract has been purchased by the Chicago White Sox organization, it was announced today. Watts will report to Advanced-A Winston-Salem in the Carolina League. Meanwhile, Atlantic League All-Star catcher/first baseman Isaias Tejeda has returned to the Revs for a third season, joining the club for its second half chase. In other news, the Revs have re-signed catcher and first baseman Isaias Tejeda. One of the Atlantic League’s top hitters during his first two seasons with York, Tejeda began the 2018 season in the Mexican League, and returns to York for a third season. The 26-year-old batted .356 with 23 doubles, nine home runs, and 38 RBI in only 65 games during two stints with York in 2016, having had his contract purchased midseason by the Atlanta Braves. His 2016 performance included a 28-game hitting streak, second-longest in club history. Last season, the Santo Domingo, DR native batted .300 with 17 home runs, 78 RBI (5th in Atlantic League), and 33 doubles in 121 games, earning both mid-season and post-season Atlantic League All-Star accolades. His .320 combined average is fifth-highest in Revs history and his .506 slugging percentage ranks 7th. The ninth year pro was originally a New York Yankees farmhand, having spent his first six seasons in the Yankees organization. This entry was posted on July 17, 2018 by blogtoblogchamps. It was filed under Player News, Team News .